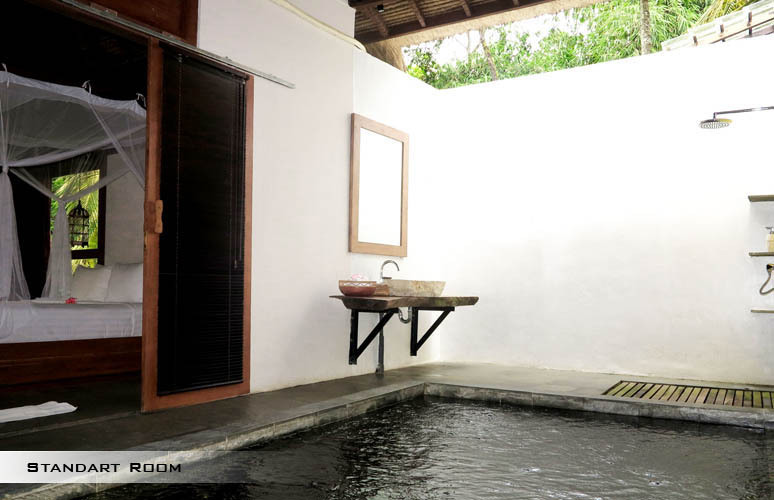 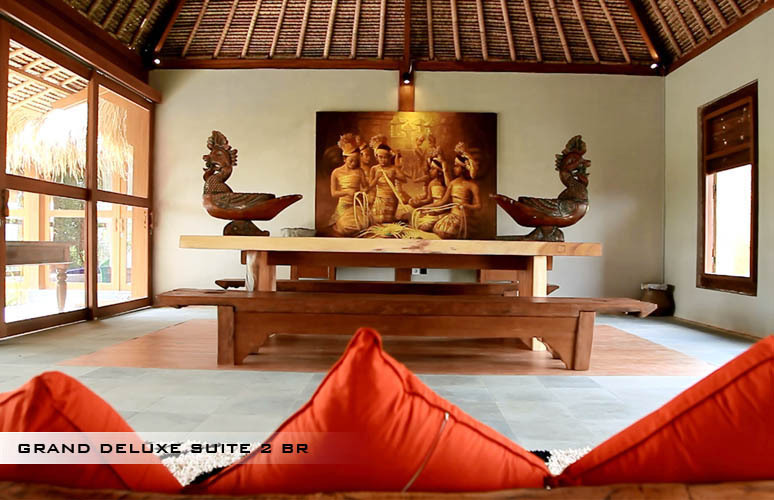 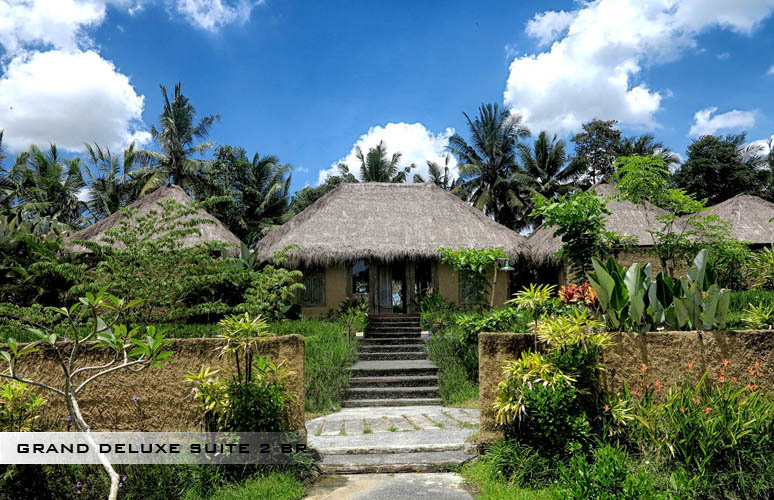 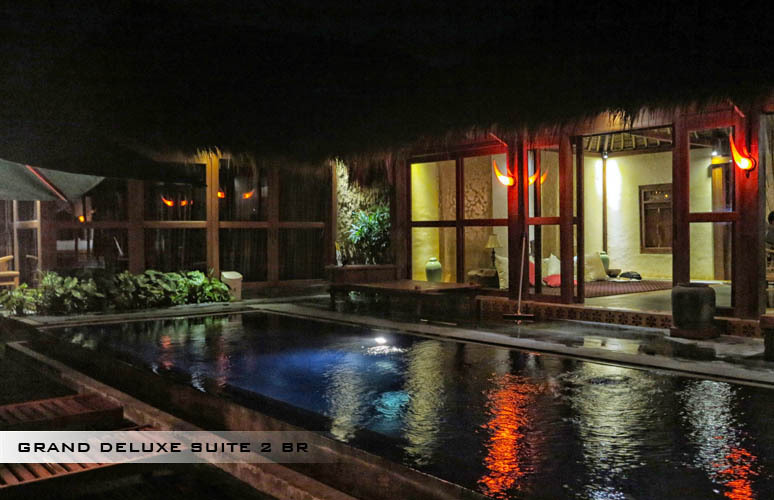 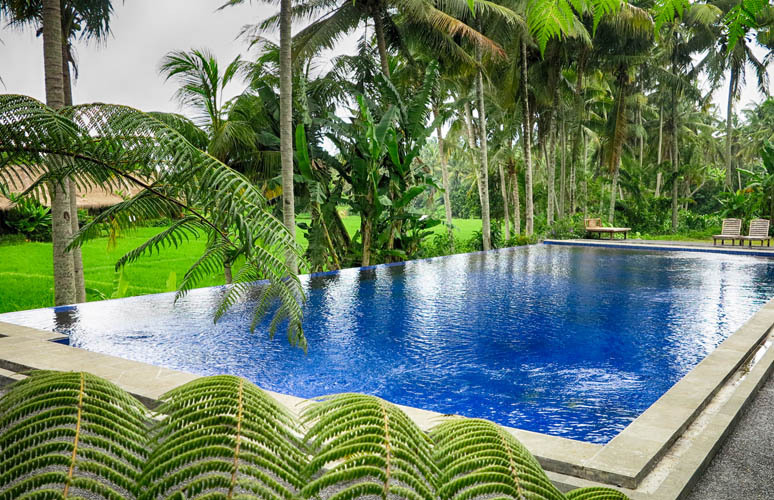 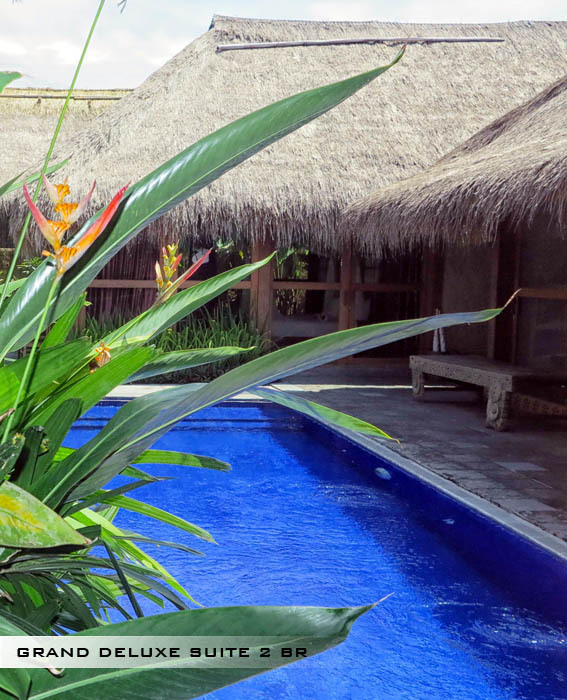 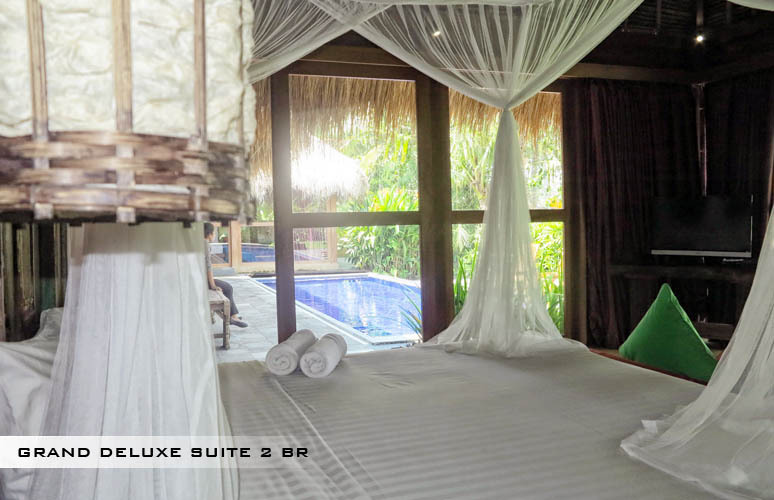 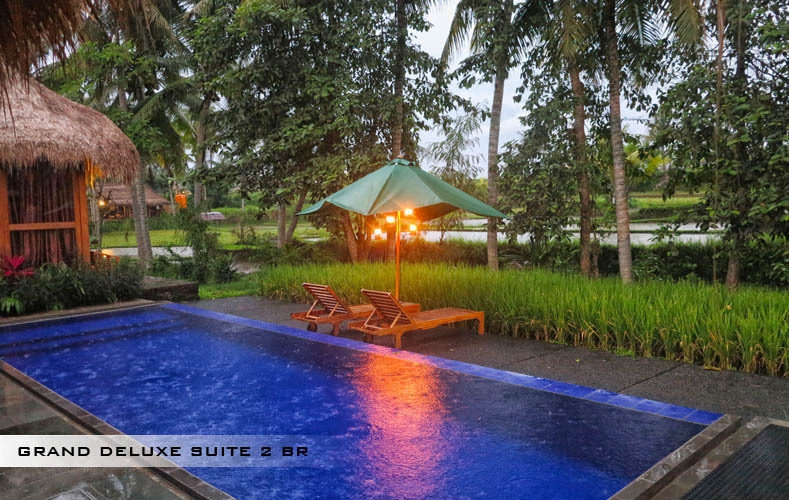 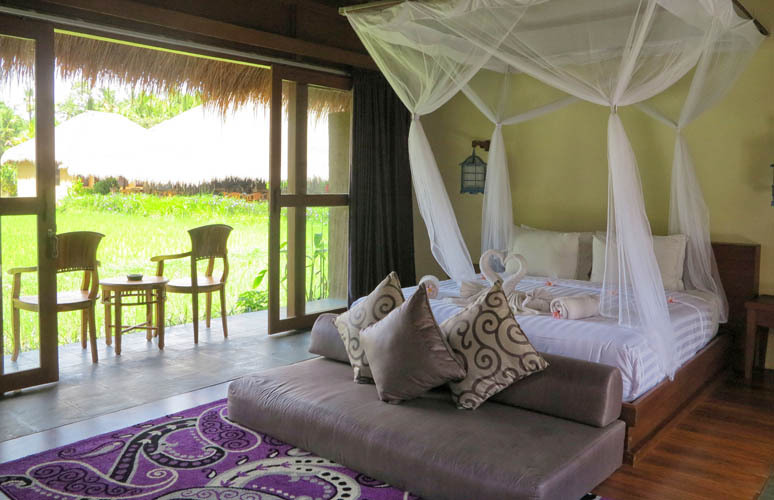 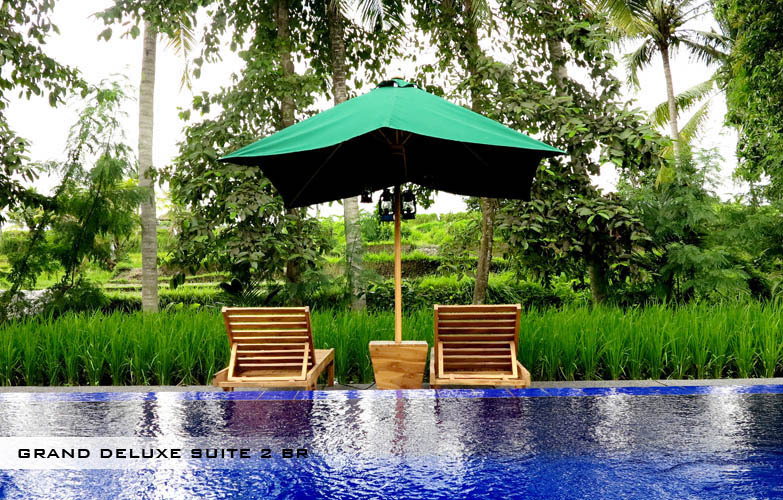 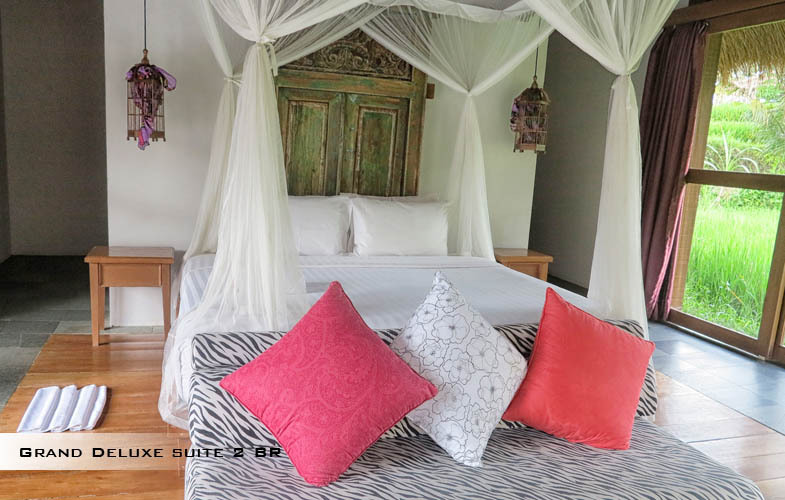 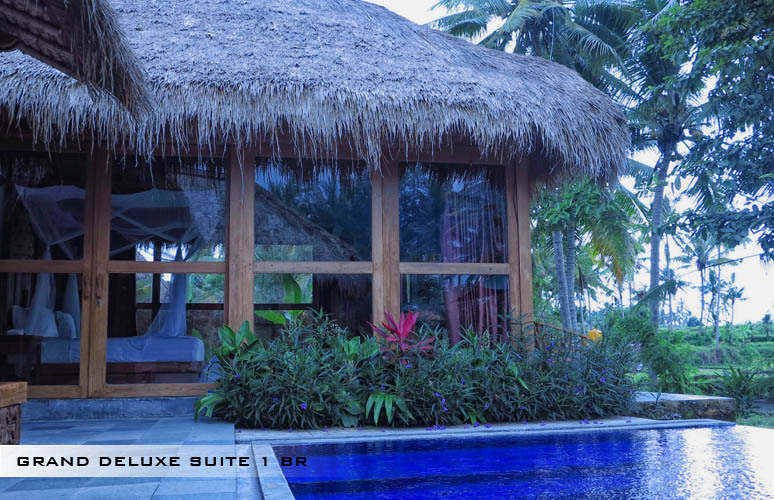 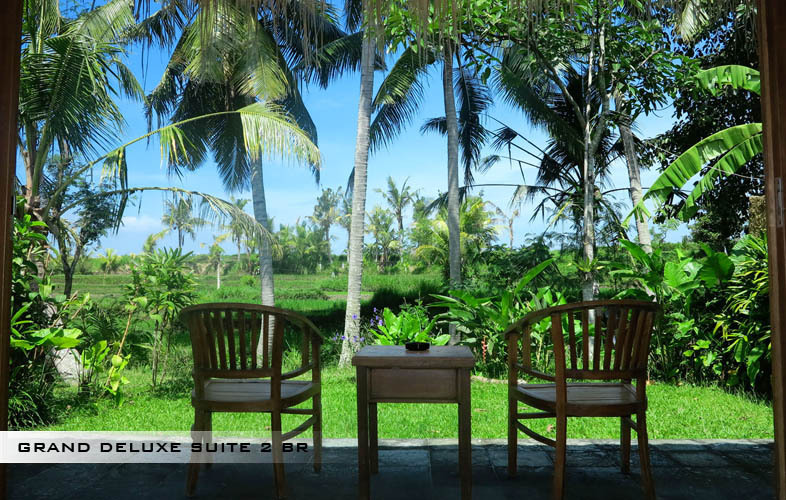 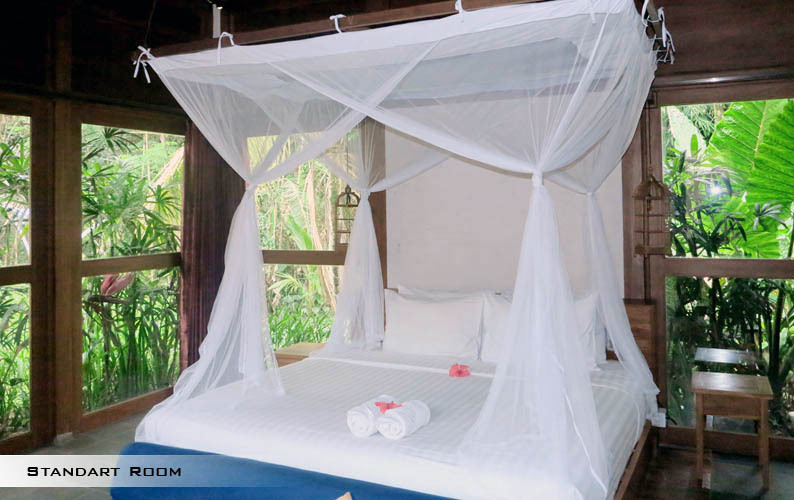 The Lidi luxury villa is located in Ubud. 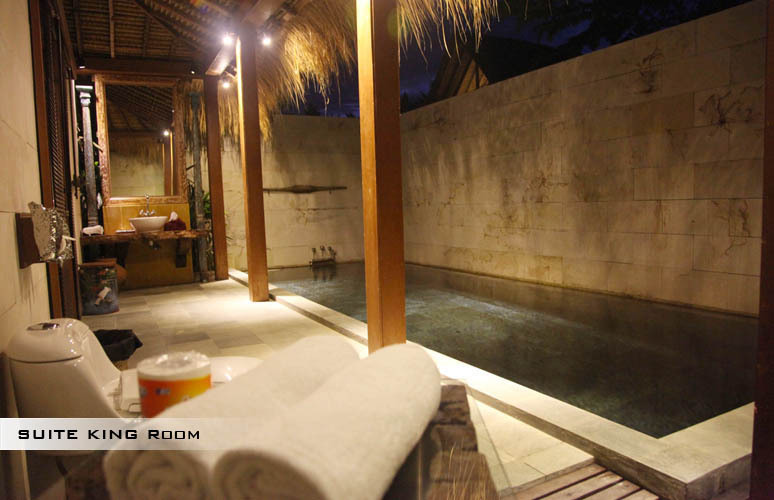 It is part of a complex of houses of 1 or 2 bedrooms with a private pool. 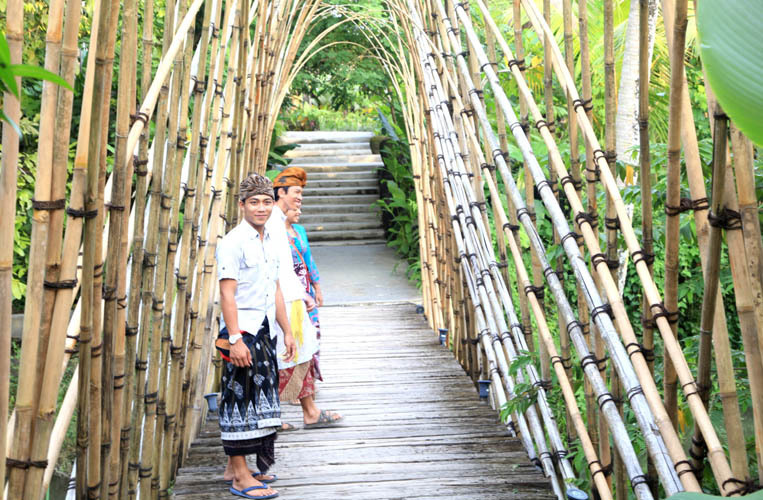 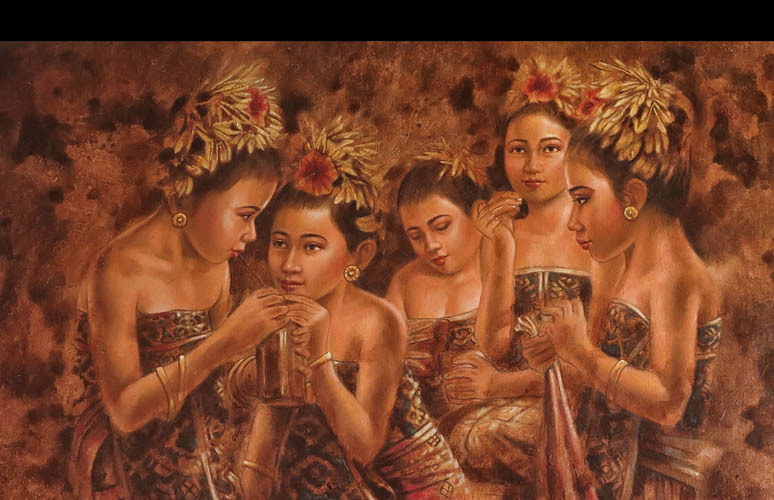 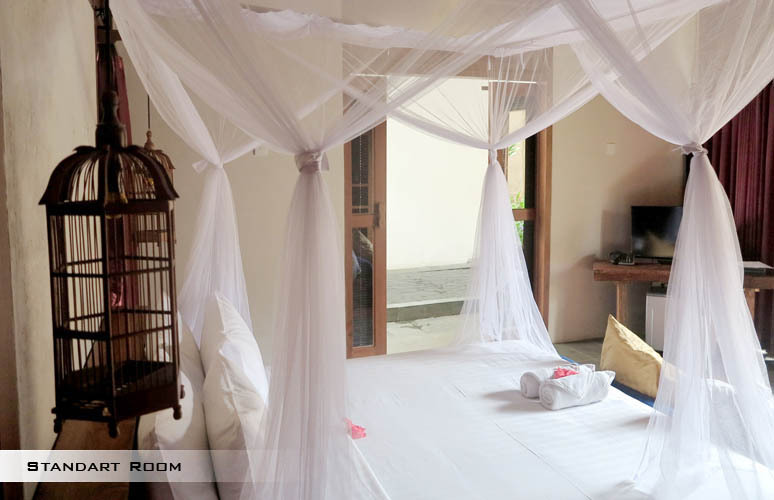 Staying with family or friends, this complex offer everything you need for a great holiday in Bali. 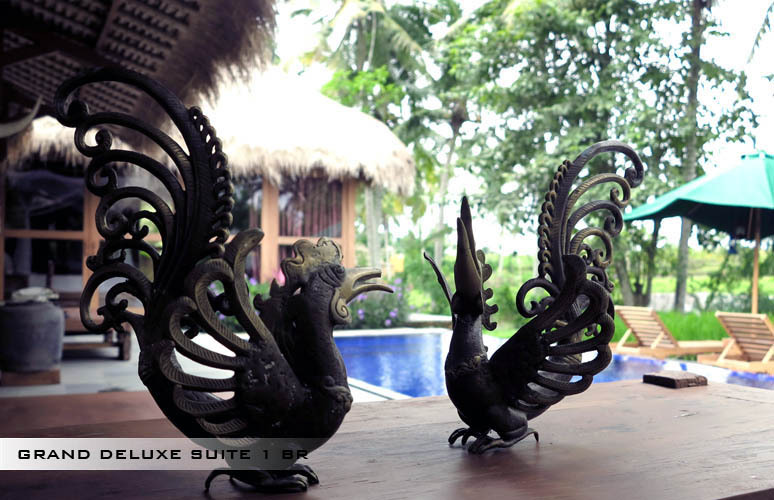 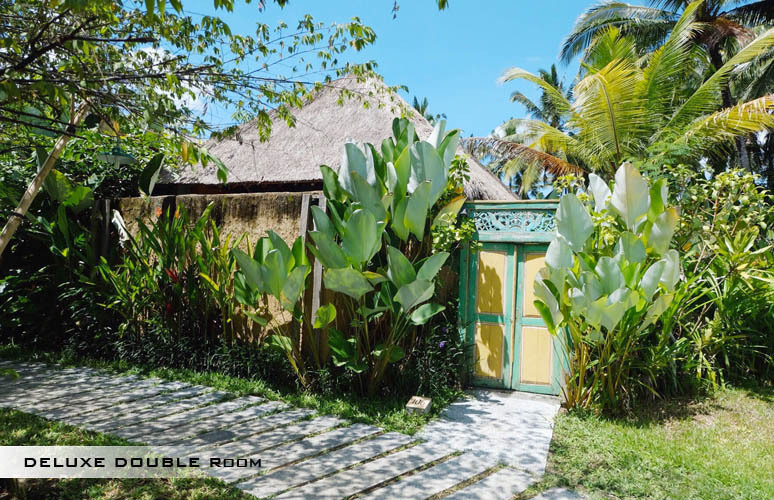 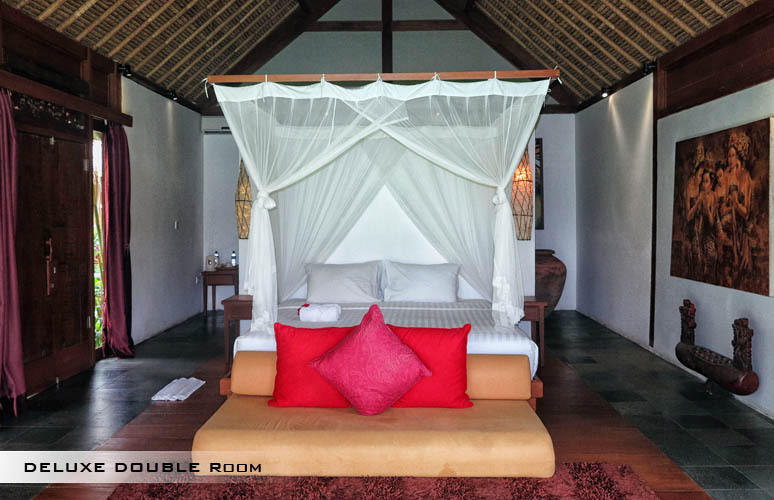 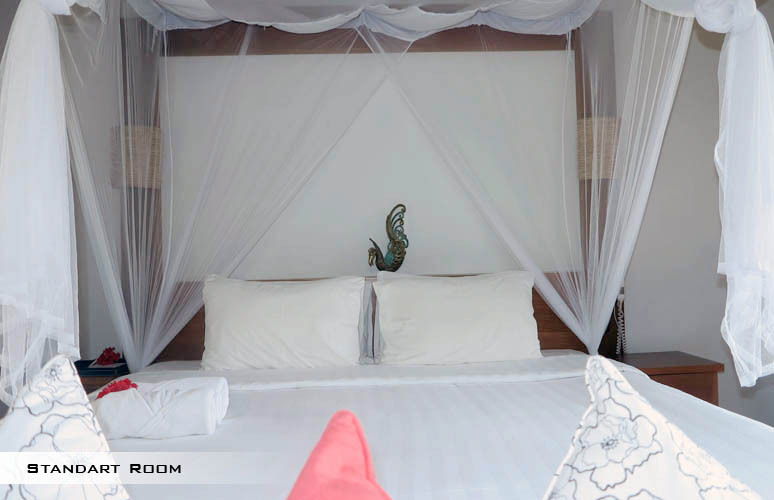 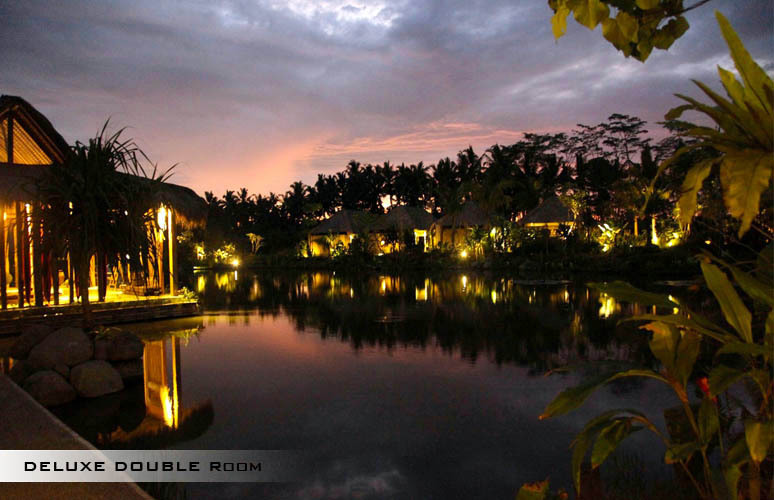 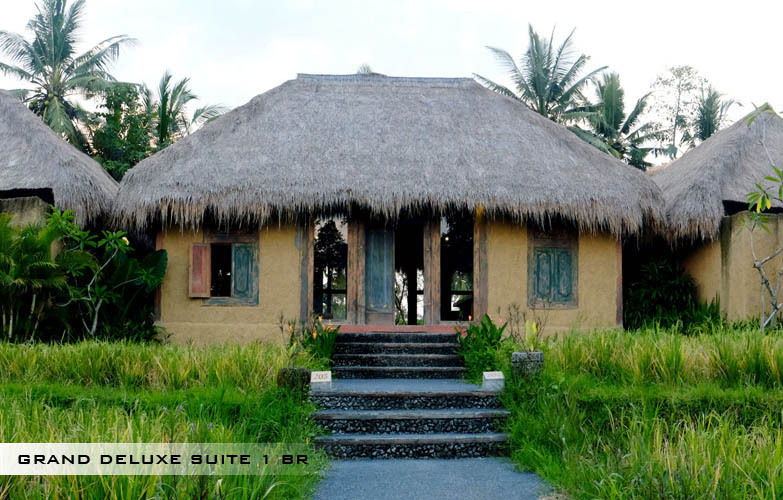 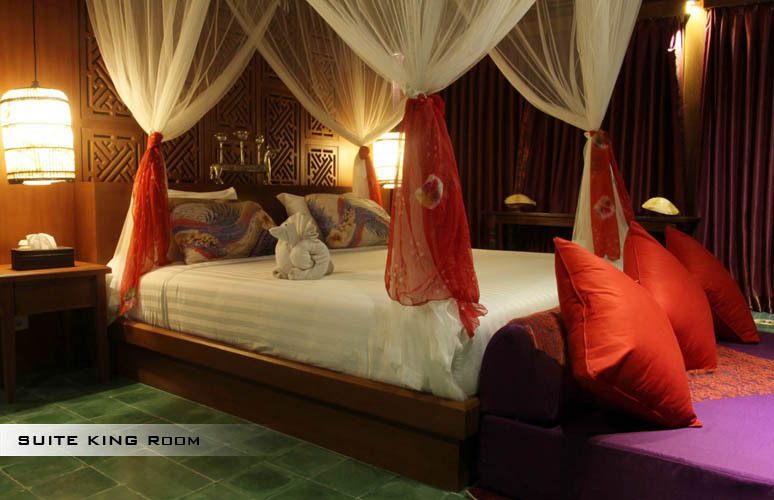 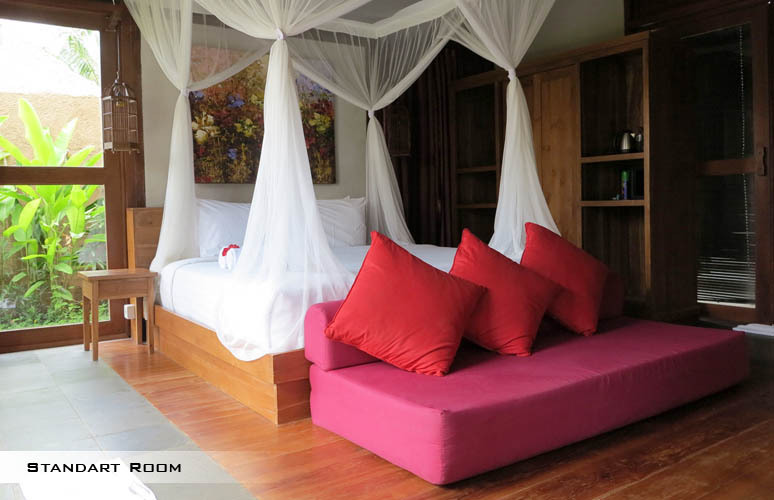 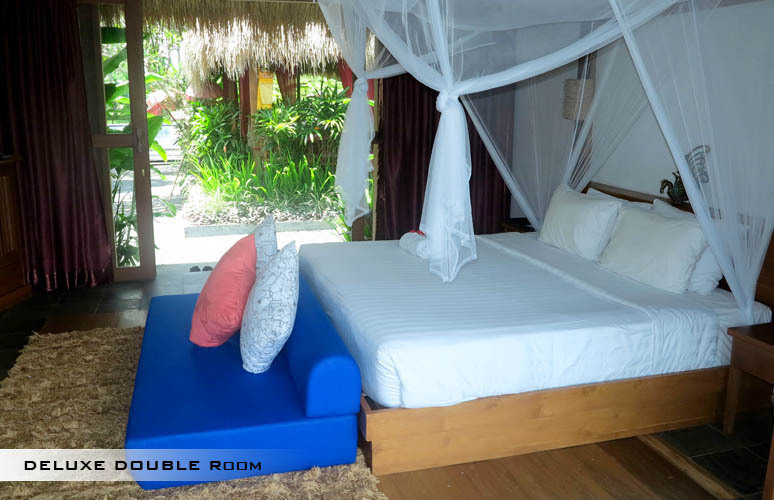 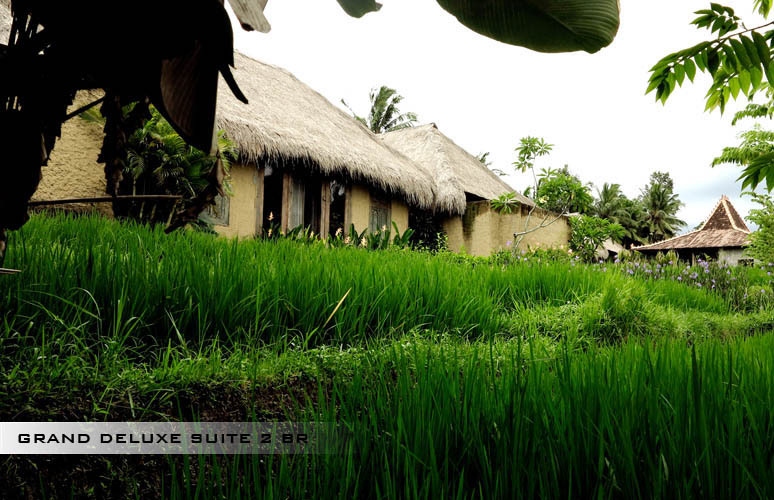 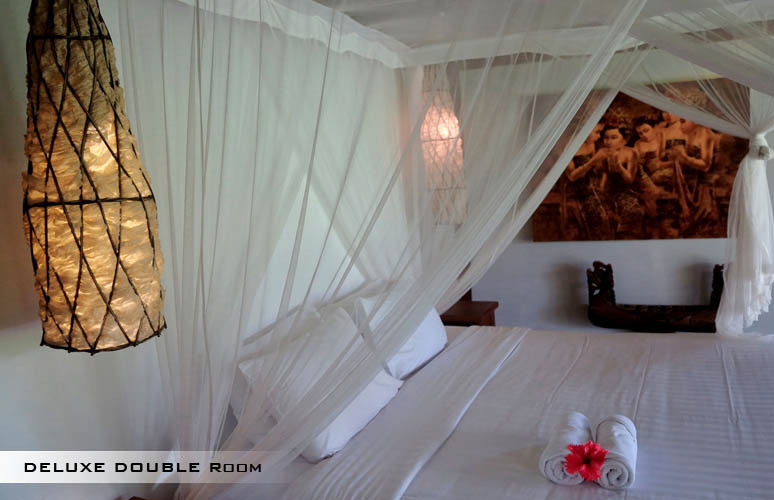 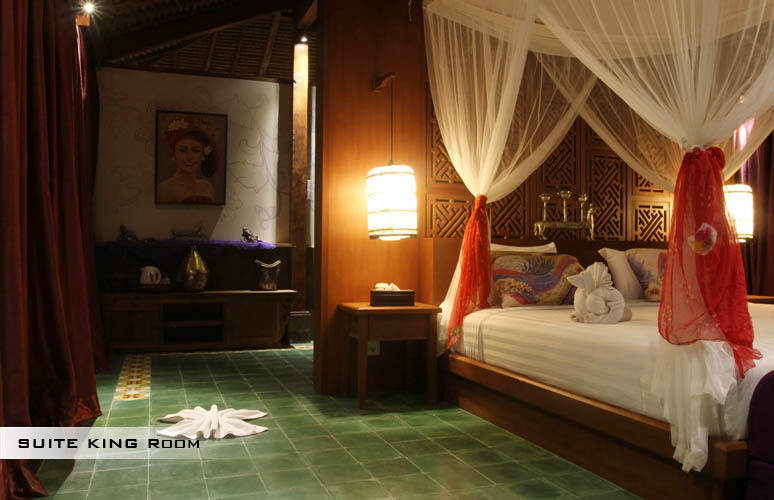 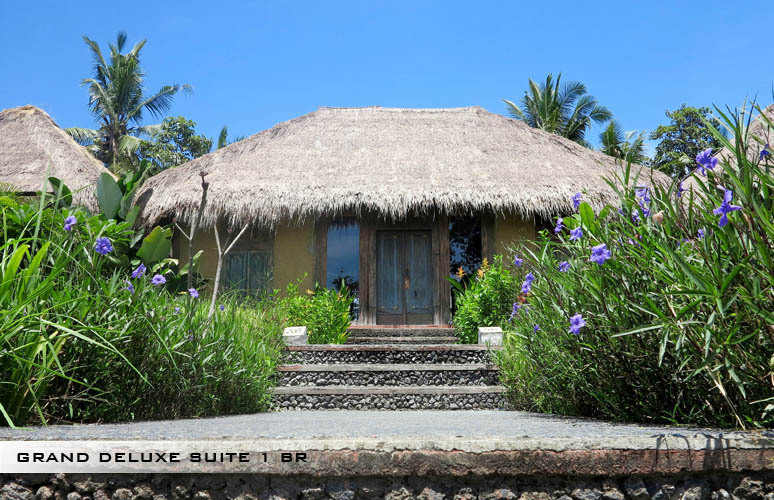 This luxury rental offers you to choose between different packages adapted to your stay in Bali. 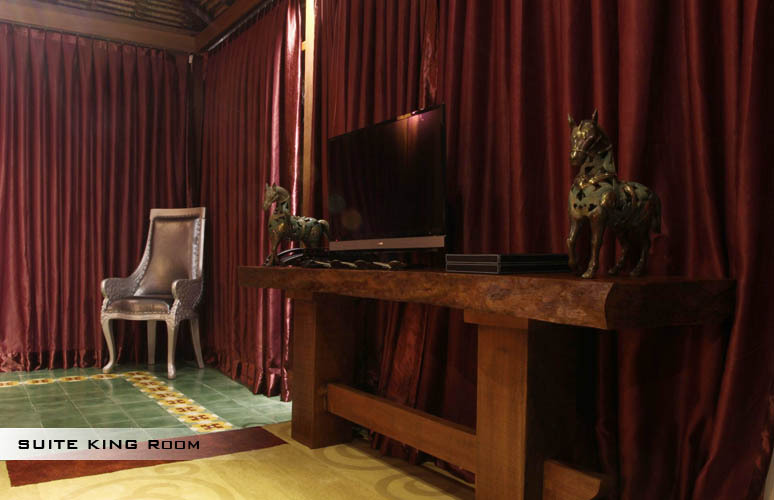 So there are six packages ranging from Standard Room to the Executive Deluxe Double Room. 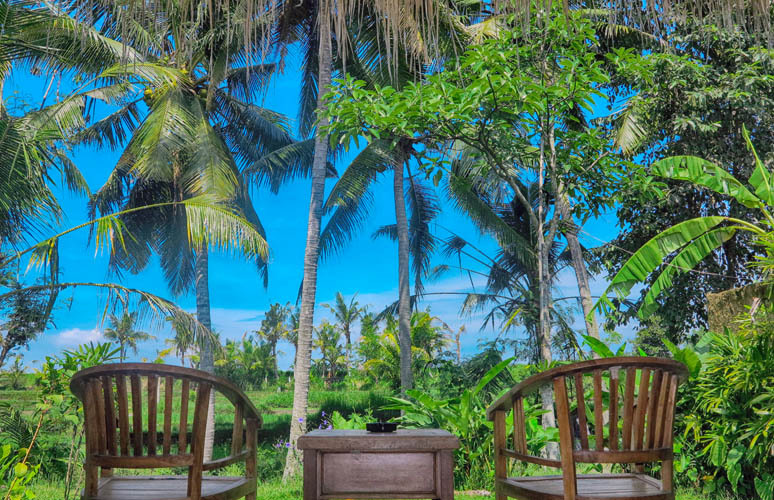 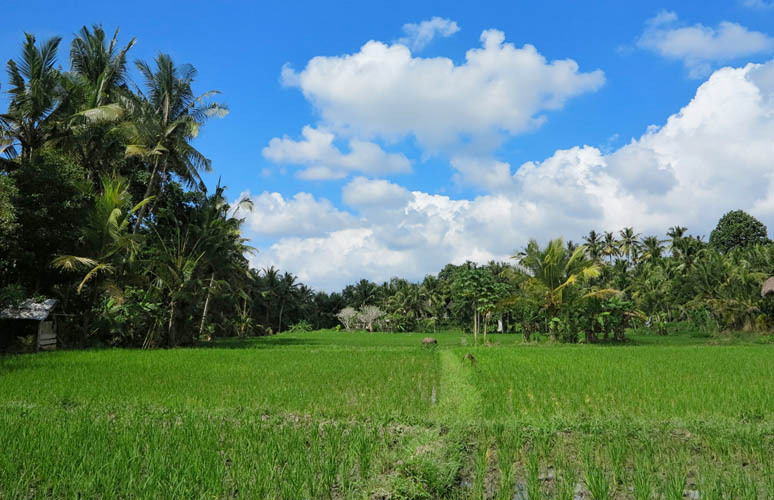 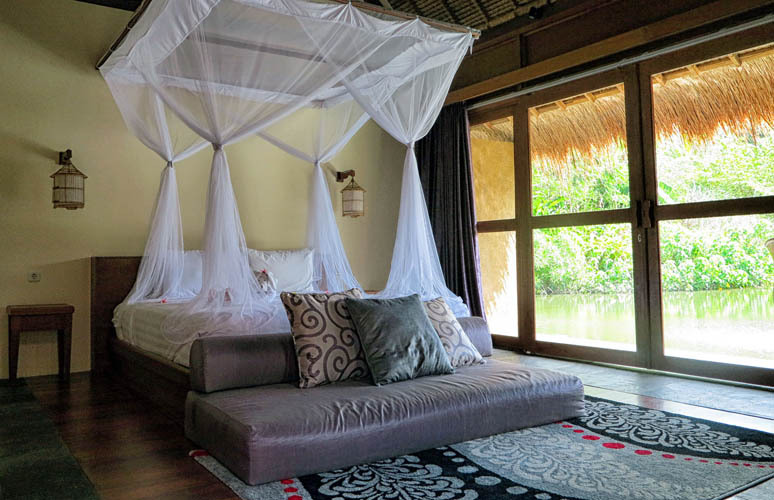 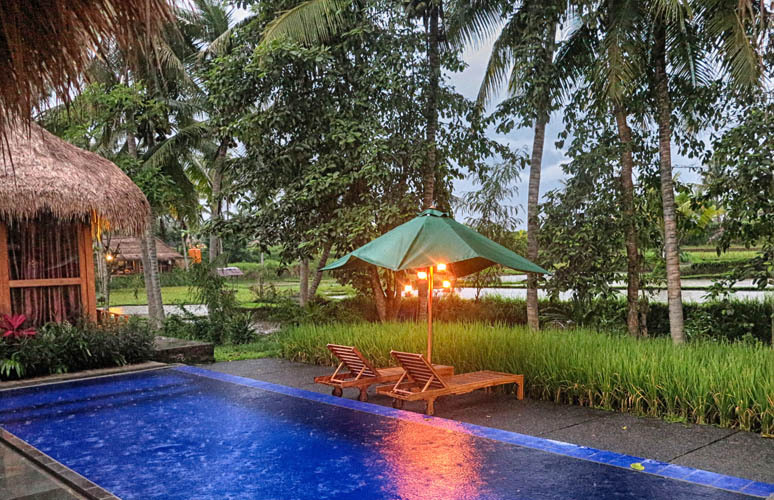 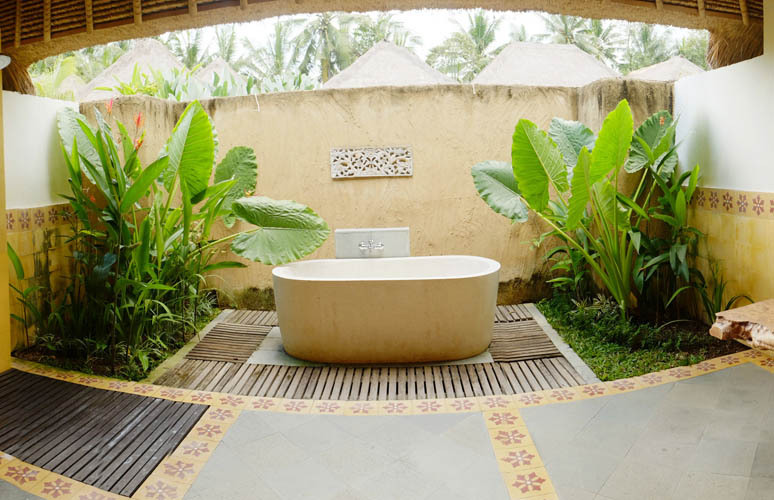 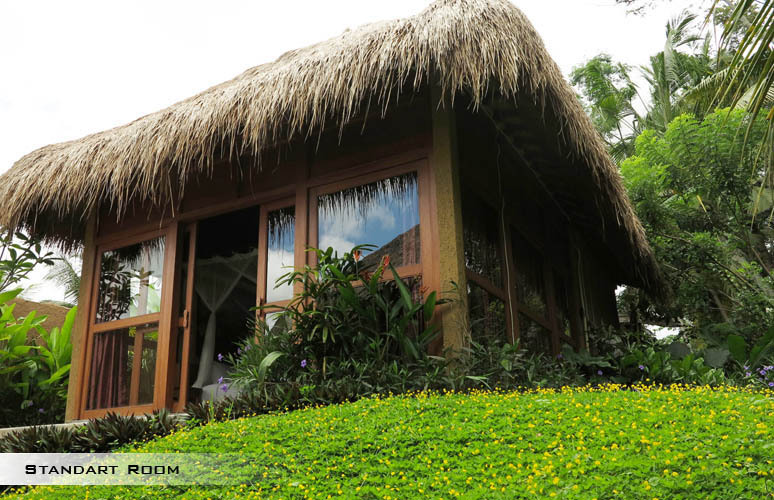 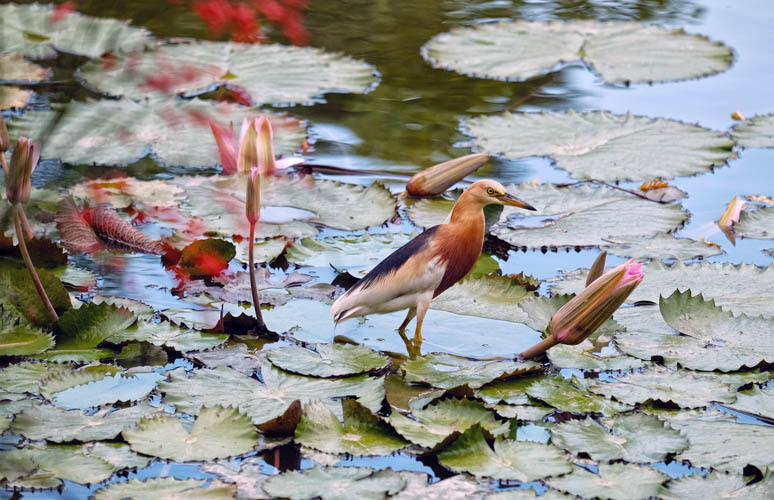 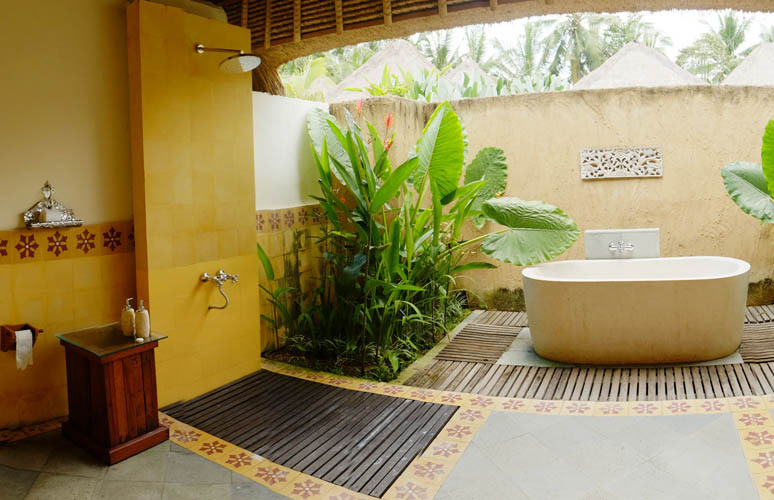 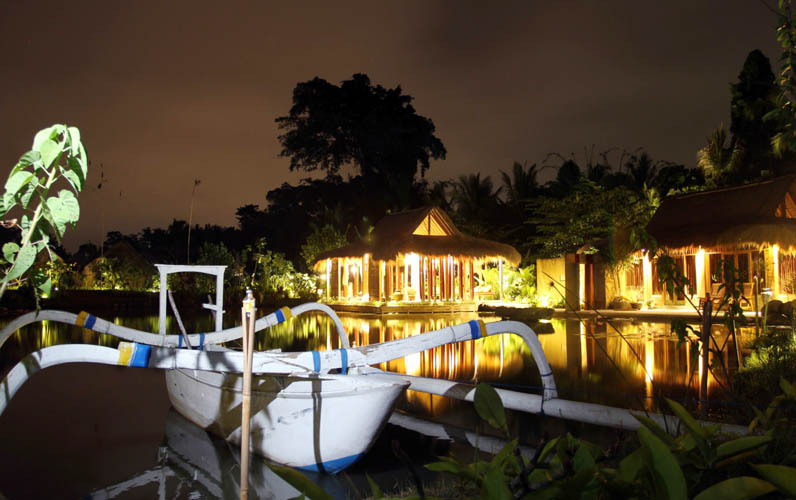 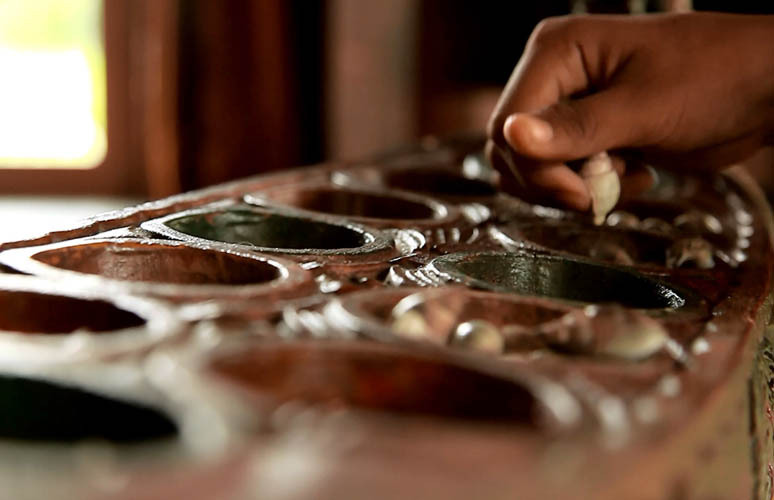 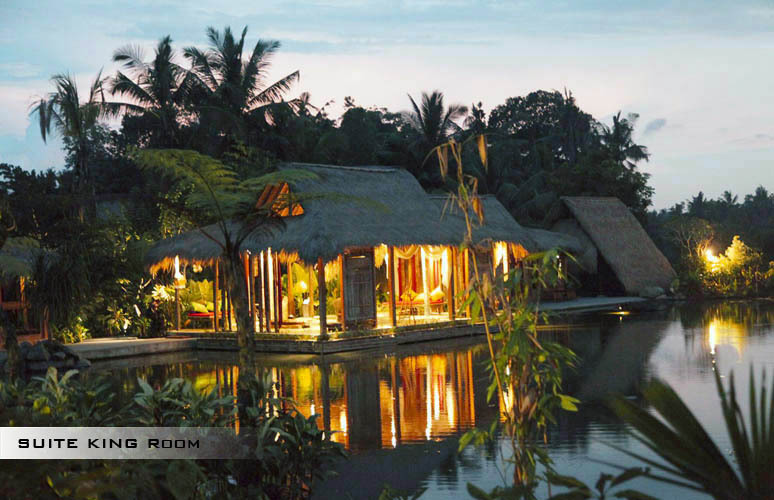 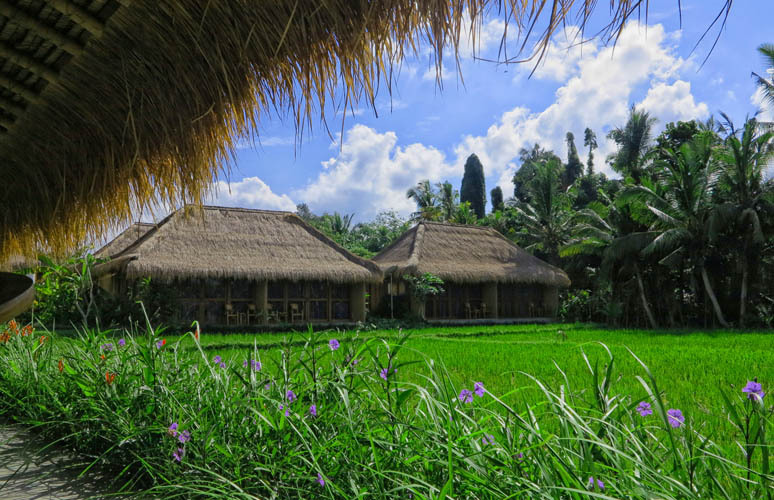 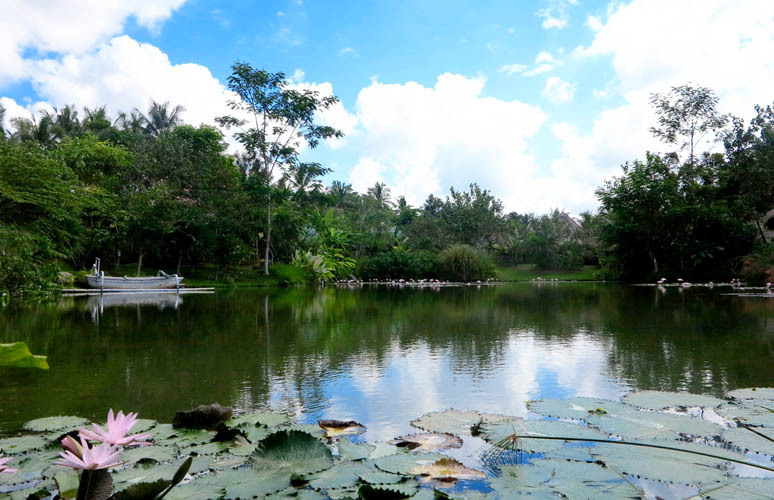 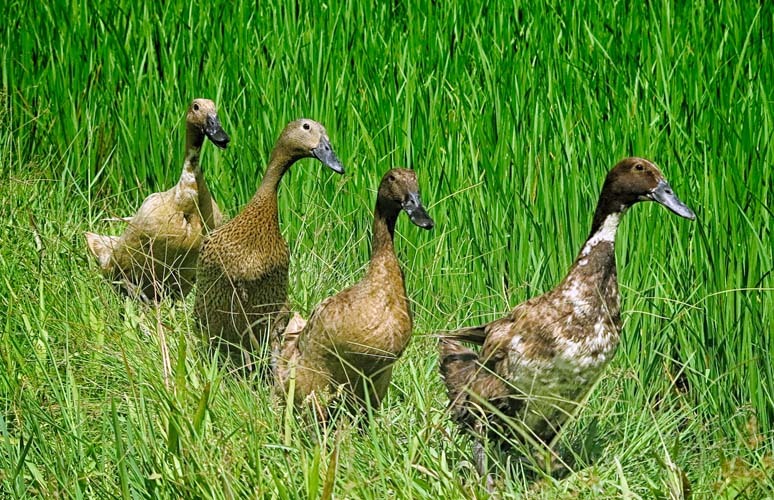 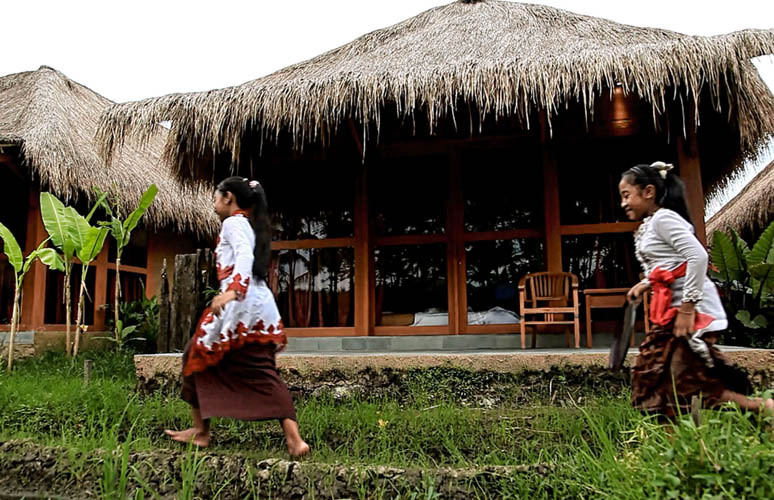 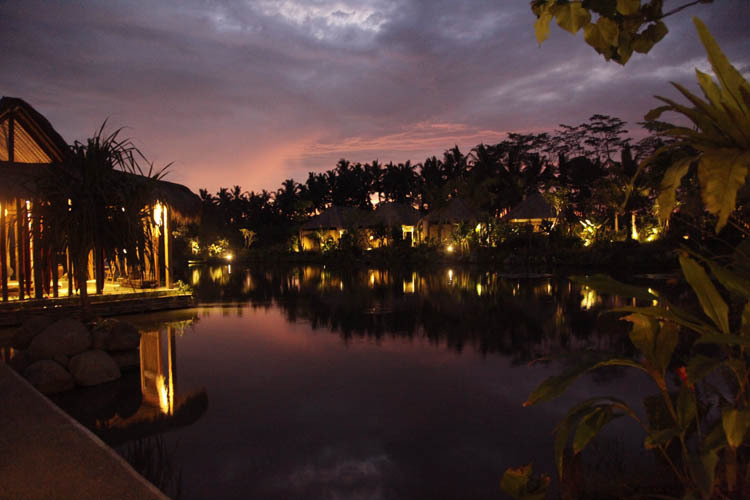 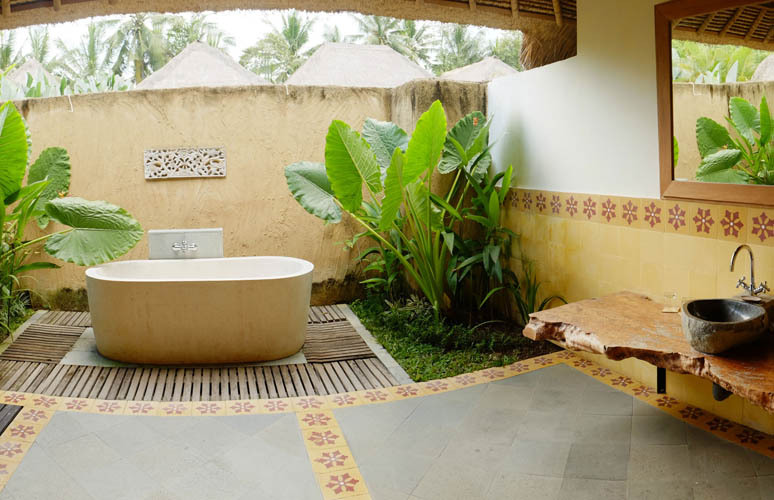 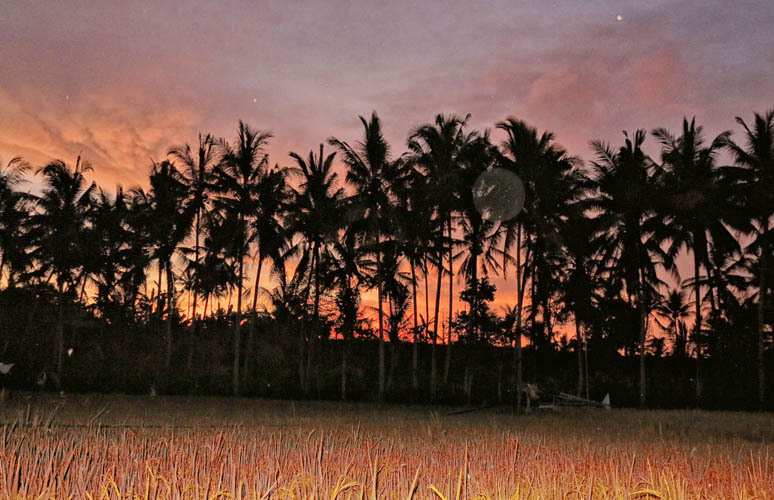 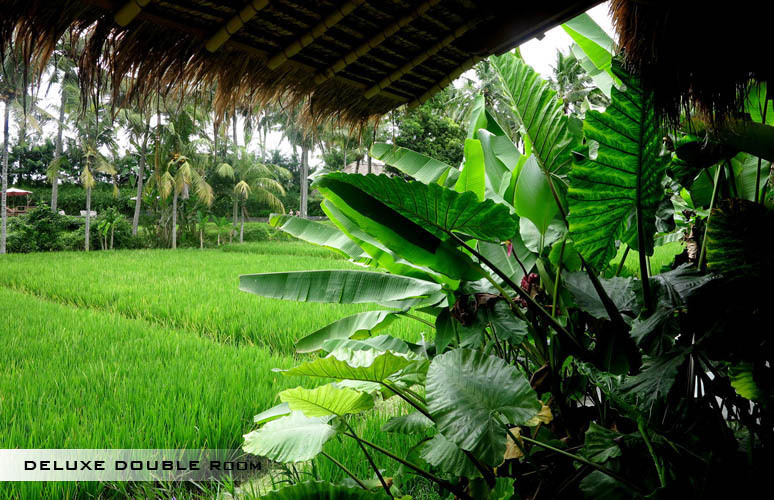 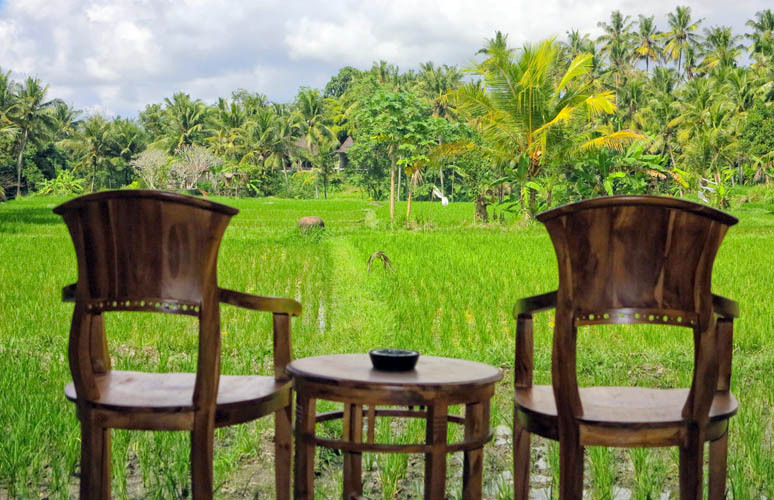 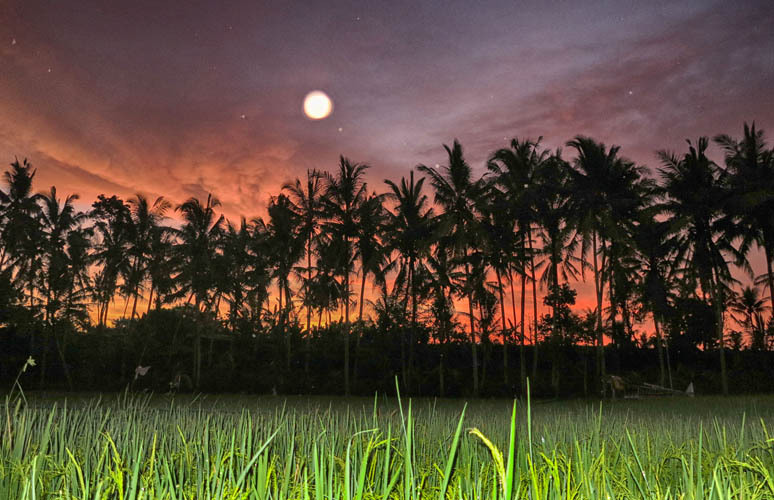 Each villa offers the unique experience of staying in the countryside of Ubud. 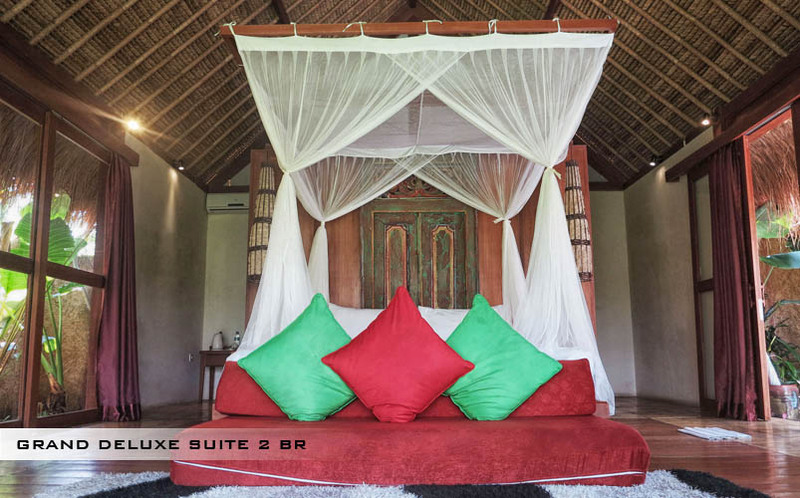 Rent this house and you will enjoy many services and facilities, each with a bedroom with king size bed, a bathroom, a TV and international channels, air conditioning, internet access by Wi-Fi, mini bar, safe, electric kettle. 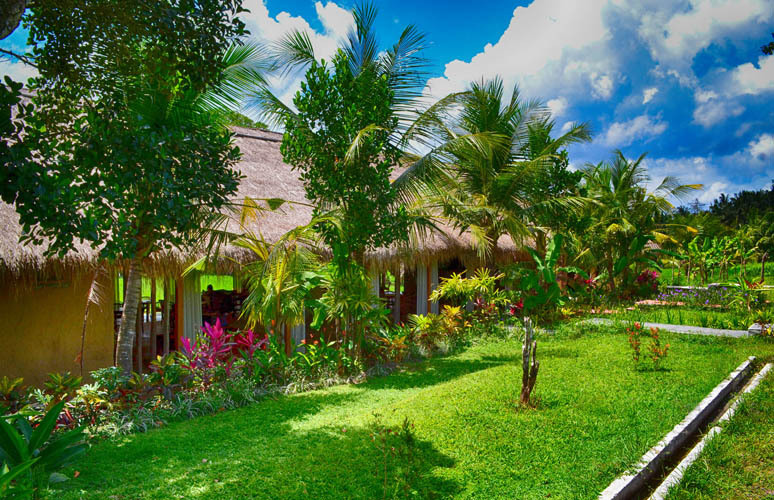 In addition the resort's staff will prepare breakfast for you. 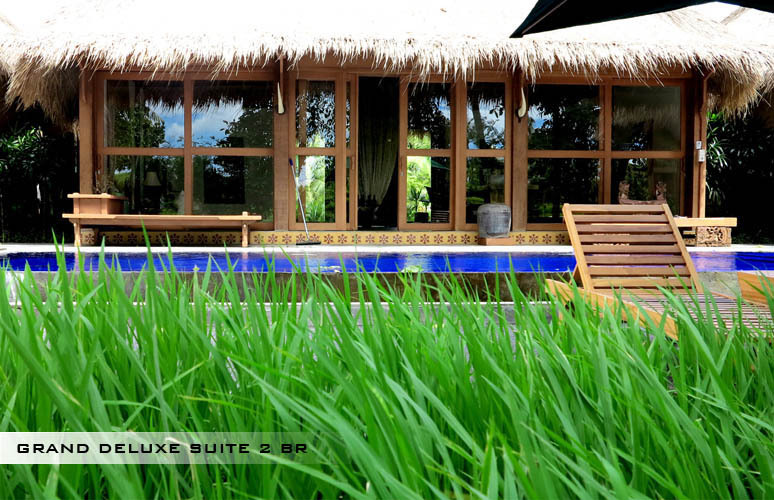 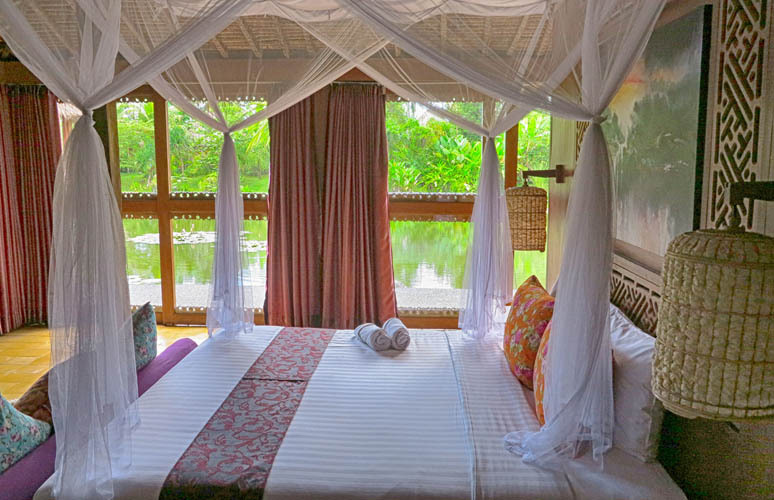 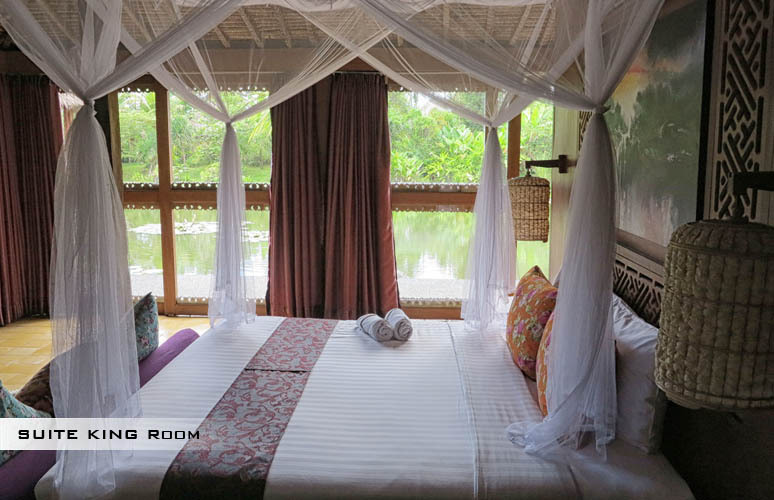 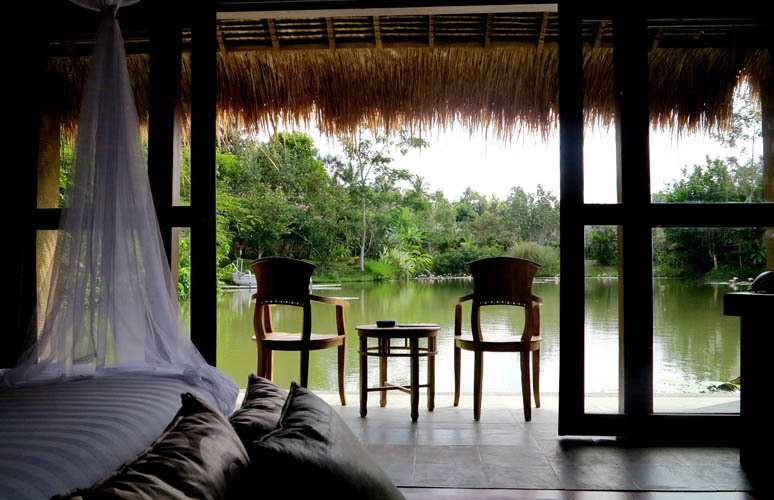 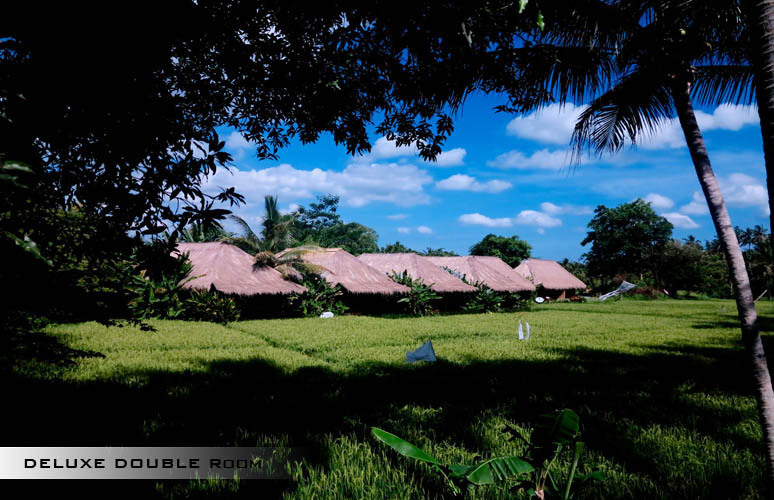 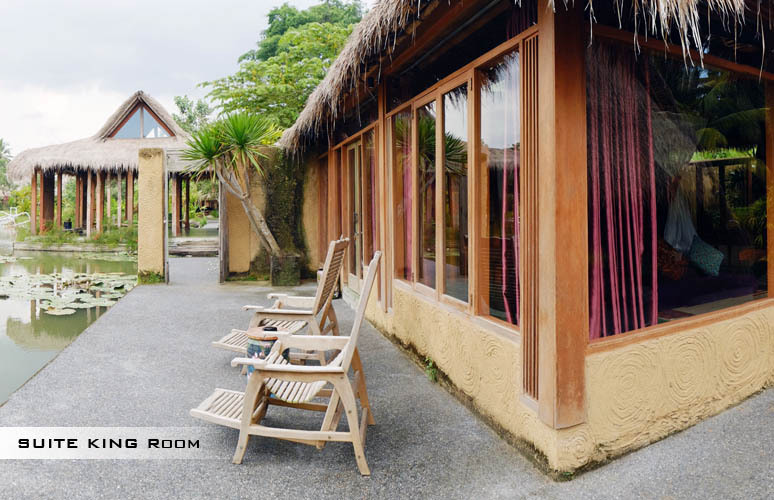 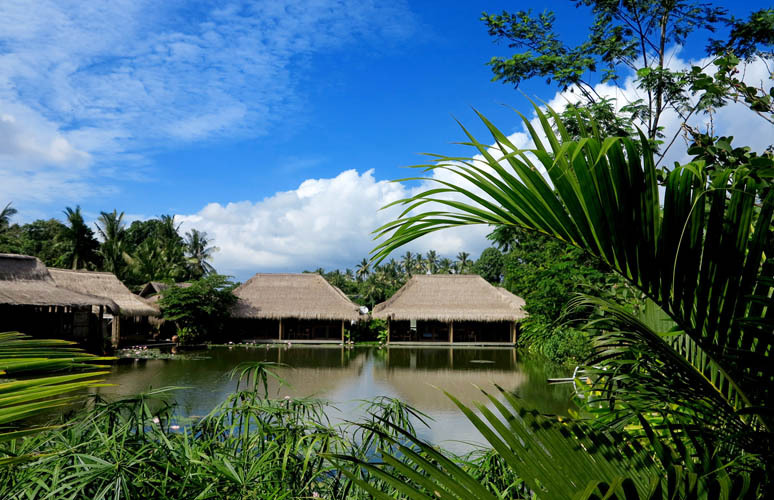 For 2-bedroom villas, you can also enjoy a living room, a private balcony and a view of the rice fields or on the lake. 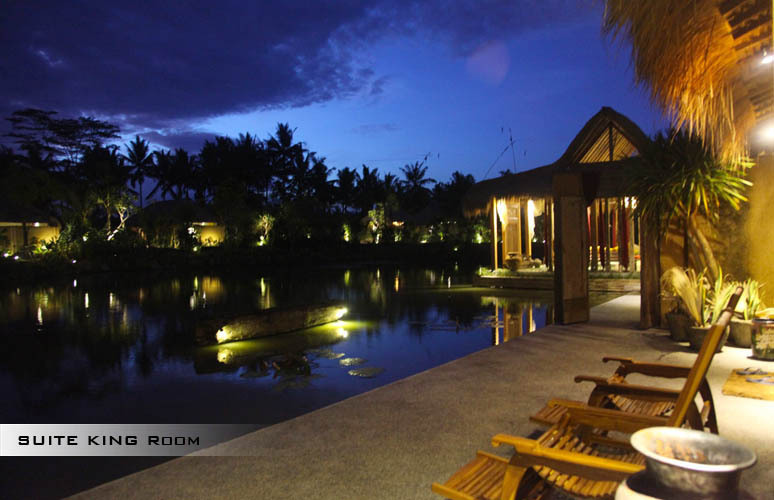 Indeed the most amazing attraction of this luxury rental is the sublime Lake that brings a touch of charm to the complex. 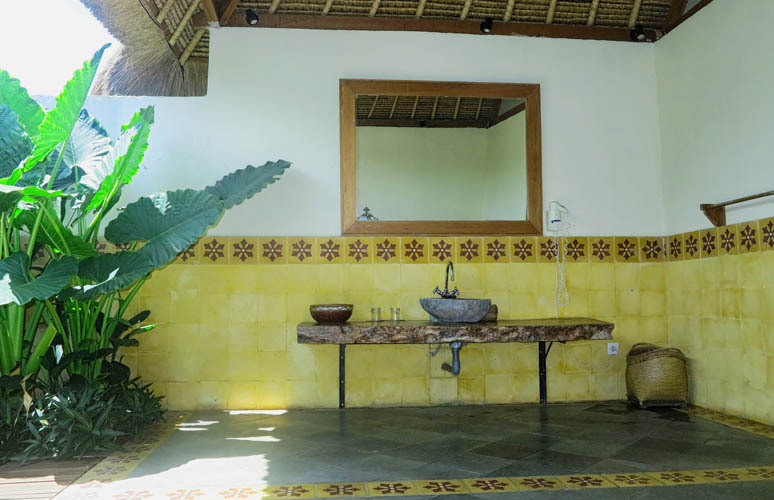 The rental of the villa will also let you enjoy your stay while relaxing at the resort Spa which offers a wide range of treatments. 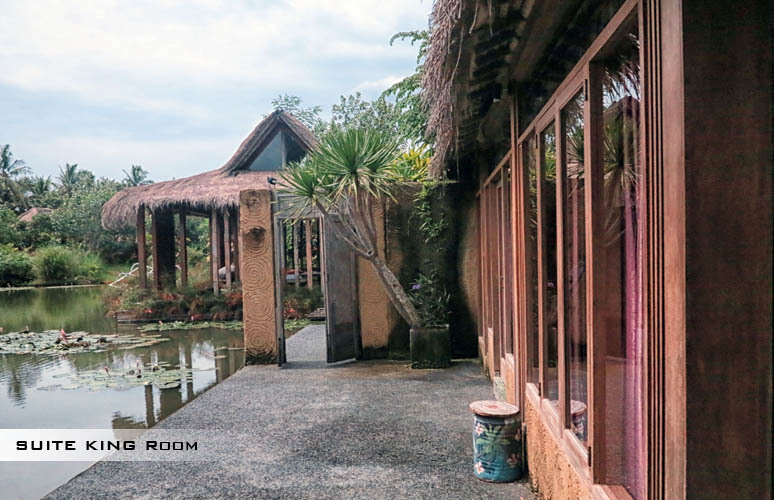 Also on site, there is a restaurant where you can have lunch or dinner at your convenience. 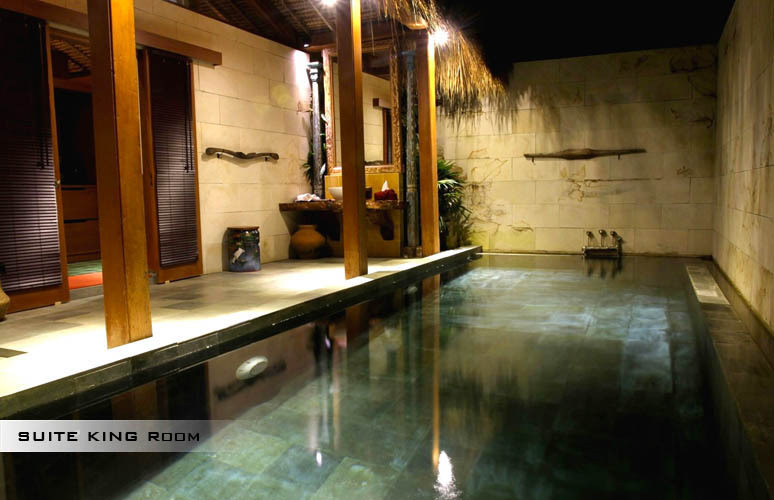 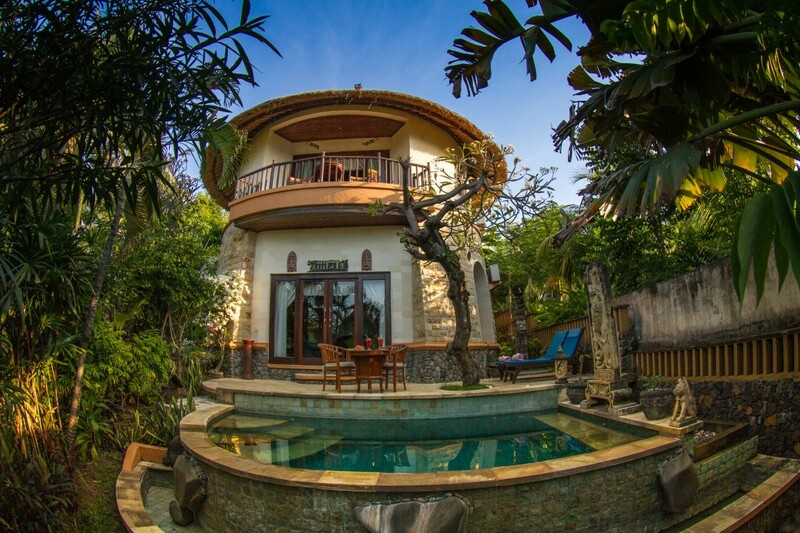 Do not hesitate to come and rent this villa for your next holiday with family or friends in Bali.